The first step towards getting the best score in IIT JEE Main is the syllabus. It is the stepping stone that will eventually fetch you the result. JEE Main 2019 syllabus is a list of topics and sub-topics specified by the Central Board of Secondary Education (CBSE) as the ones you should cover as students of Class 11 and Class 12 to prepare the Joint Entrance Examination next year. These topics are considered to be the basics engineering aspirants must master before enrolling for undergraduate engineering programs. Download JEE Main Physics Syllabus 2019 in an easy-to-read pdf format! Download JEE Main Chemistry Syllabus 2019 in an easy-to-read pdf format! Download JEE Main Maths Syllabus 2019 in an easy-to-read pdf format! Overall, there have been no major changes in the syllabus of the exam in the last few years and it is same as JEE Main/Advanced and the CBSE syllabus for Physics, Chemistry and Mathematics for Class XI and Class XII. NCERT books are the best way to cover the specified syllabus for JEE Main 2019. Check out other important books for JEE Main 2019! 3D perception: Understanding and appreciation of scale and proportion of objects, building forms and elements, colour texture, harmony and contrast. Transformation of forms both 2D and 3D union, subtraction, rotation, development of surfaces and volumes, Generation of Plan, elevations and 3D views of objects. Creating 2D and 3D compositions using given shapes and forms. If the NTA issues any information regarding change in the JEE Main syllabus for 2019 and 2019, this page will be updated accordingly. We put best practices while making the aspirants prepare for JEE Main course so that the students have an impeccable preparation along with the dedication. It is also important to know how the syllabus needs to be used so that you have a flawless preparation towards the upcoming entrance. How to use Syllabus for JEE Main Preparation? 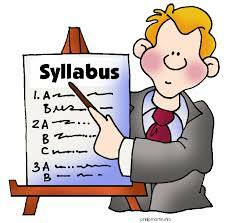 Syllabus can’t be ignored and every engineering aspirant should know the syllabus by heart. Students should go through the syllabus carefully before starting each chapter of JEE Main Course and pay close attention to the topics and sub-topics they need to cover in that chapter. This tunes one’s mind to grasp all the important aspects of the chapter in detail. When you know the syllabus, you add value to your study. You save time by not referring to the unimportant topics and pay more attention to the most important topics. Once you have known the syllabus, you can start solving the questions and problems from the topics required. This way, you will gain more experience in the topics. We all know that practice makes a man perfect and if you want that perfection before your entrance, this can be of great help. Use reference materials appropriately and start covering additional questions in those books so that you are never late. It is always better to prepare ahead of time than at the eleventh hour.